Did you know that the EGU has a public engagement grant scheme which, annually, awards two EGU members with 1000€ to help them develop an outreach project? The 2018 call for applications is currently open. In this GeoTalk interview, Laura Roberts talks to Solmaz Mohadjer, a winner of the first EGU Public Engagement Grants competition in 2016. If you are considering applying, then read on for tips from Solmaz on what makes a good outreach project, and how she invested the prize money to further the understanding of earthquakes among those most vulnerable. Before we get started, could you introduce yourself and tell our readers a little more about your background? I’m passionate about applying my skills and knowledge to help those who live in earthquake-prone parts of the world. Over the last decade, I’ve used different tools including GPS geodesy and terrestrial remote sensing (LiDAR) to quantify mountain hazards such as earthquakes and rockfalls, and communicate findings with at-risk communities. My preferred approach to doing research is to allow questions asked by at-risk communities to drive my research goals and products. For example, the open access active fault database was designed by our research group at the University of Tübingen to address commonly-asked questions such as “Is there an active fault near where I live?” Publishing results, though important, are not the end target for me. I am privileged to work with mentors and colleagues who not only publish scientific research, but also actively participate in science education and outreach. Collaborating with colleagues worldwide, we have developed educational materials for school communities (e.g., lesson plans, video modules, and posters), have organized training workshops for local geologists and teachers, and spoken at local public events such as TEDx conferences. Earthquakes are inevitable but earthquake risk can be reduced, and hazard scientists definitely have a role to play. Some of our readers may yet not be familiar with the public engagement grant, can you tell us a little more about it? The EGU Public Engagement Grants (€1000) are awarded for a period of 12 months to two EGU members interested in developing a public engagement initiative. The awards were offered for the first time in 2016, and I’m honoured to be one of the first recipients. The award recognises the most innovative and effective outreach projects that aim to raise awareness of geoscience outside the scientific community. What I like about the award is that there is no restriction on the format of the proposed project or activity. We went for videos while Gomez-Heras (also a 2016 award recipient) organised and carried out a fieldtrip. The application process was fast and uncomplicated. The great news for the 2018 recipients is that in addition to receiving the funds, the registration fee for the next year’s EGU General Assembly are waived as long as they plan to present the results of their outreach work. Why did you decide to apply for the funds? Turning the earthquake lessons plans into video modules had been on my radar for several years. When my colleague, Sebastian Mutz, and I learned about the EGU public engagement grant, we decided to take this opportunity to realise this project. The financial support certainly helped, but what attracted us the most was giving the EGU full access to our video modules for dissemination via its communication channels (e.g. 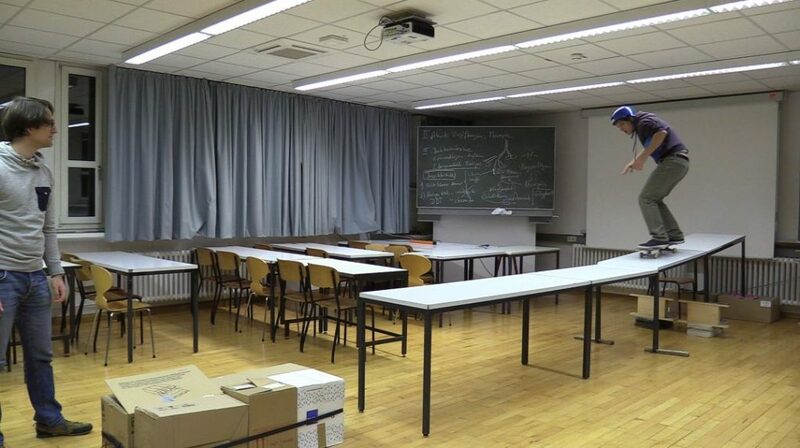 our earthquake lesson plans are now available on the EGU’s YouTube channel). We wanted to reach a wide/diverse audience, and having the EGU’s support mattered a lot to us. Tell us more about your outreach project: what were the aims and how did you decide to meet them? Our goal is to enable easy and effective access to science-based earthquake hazard information. To do this, we converted previously developed earthquake lesson plans into video modules that are freely available to school teachers around the world as streaming video, internet downloads and DVDs. 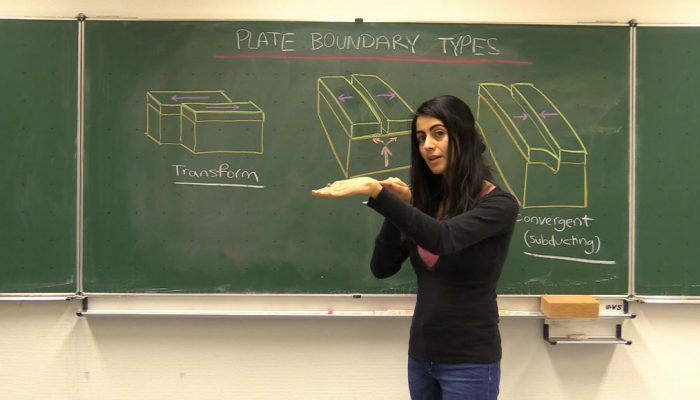 The videos introduce students to the fundamental scientific concepts behind earthquakes (e.g., plate tectonics, faulting, and seismic energy) as well as earthquake hazards (e.g., landslides, liquefaction, structural and nonstructural hazards) and safety measures (e.g., drills and planning). The unique teaching duet pedagogy used in the videos encourages the in-class teacher to collaborate with the video teacher (an Earth scientist) to help students understand the physical processes related to earthquakes and the self-protective steps they can take to mitigate hazards. The video production is a collaborative effort between students and researchers from University of Cambridge (Matthew Kemp and Sophie Gill), University of Leeds (Ruth Amey and Lewis Mitchell), King’s College London (Faith Taylor), and University of Tübingen (Matthias Nettesheim, Reinhard Drews, and Jessica Starke). My colleague, Sebastian Mutz, and I lead the video production. All presenters are early career scientists who enthusiastically volunteer their time and skills to make this project happen. Without them, we simply would not have any videos to share. The videos can be accessed through the EGU YouTube channel. For lesson plans and other supporting materials, please check out the ParsQuake website. Wow! It sounds like a very worthwhile initiative; have you got to the stage where you can start to assess its success? We are currently in the process of editing and publishing the remaining four videos. Those published are getting many views on YouTube already. We are now forming an evaluation team to design an effective online feedback form that will be available soon for collecting user’s feedback. This information will then assist us with evaluation and further development of this project. Those interested in assisting us with project evaluation are welcomed to contact us at parsquake@gmail.com. What top tips do you have for anyone wanting to develop a public engagement initiative? It is important to think about why you want to engage the public and who you want to target. Talking directly with the public and listening to their comments and questions can help with the why, who and how to engage. You can start small by talking to those you know like family, friends and colleagues, and/or look for opportunities where you can engage with the broader public. Also, don’t underestimate the power of partnership. Good partners can help with design, implementation, evaluation, and dissemination of your public engagement project. In your opinion, what gave your project the edge over other applicants in 2016? Our outreach materials (lesson plans) had been previously developed, field-tested and published in a peer-reviewed journal (Mohadjer et al., 2010). Later, they were refined, adapted and successfully implemented by Teachers Without Borders and their partners in their teacher training programs worldwide. We had successfully created a pilot video of one of the lessons which was added to the video archives of the Massachusetts Institute of Technology, and later was dubbed in Arabic, Portuguese, Spanish and Haitian Creole due to high demand. The project outcomes (video modules) have the potential to reach/impact a global audience because (a) they are released under an open license that permits their free use, and (b) they are disseminated by institutions with a broad geographic impact (e.g., ParsQuake, MIT BLOSSOMS, Teachers Without Borders). Would you recommend other applying for the EGU’s Public Engagement Grants? Yes. The application process is quick and easy, and if you already have an idea for an outreach project and want to make it happen, this may be a good first step. My suggestion would be to make sure the project budget remains within what the grant offers (€1000) or combine the grant funds with other forms of support to reach your project aims. Has this interview inspired you? The 2018 call for applications is currently open. If you have an idea for a comic, podcast, documentary, set of experiments, or some other form of effective science communication that you want to promote, then please fill in the online application form and let us know why your project deserves to be funded. Applications for the two EGU Public Engagement Grants are open from 15 November 2017 until 15 February 2018. All proposals will be evaluated by April 2018, with the winners being notified during the EGU General Assembly in Vienna and by email. GeoEd: For the best hands-on outreach experiences, just provide opportunities for playing! FRP composite materials, mostly CFRP wrap and GFRP wrap, are one of key solutions to make structures more resistant to seismic activity, ground motion, or soil failure due to earthquakes. Systems based on FRP composite materials, combination of fiber and epoxy resin, are one of solutions to make structures more resistant to seismic activity, ground motion, or soil failure due to earthquakes. I think the advantages such as: corrosion resistance, low weight-to-strength ratio, flexibility, etc. are the prime reasons have led to increasing applications of FRP composite systems in retrofitting of industrial and agricultural structures and also retrofitting of oil and gas structures.